This is a real bugbear of mine, but people keep writing about it, so I’m going to keep moaning about it. There’s another round this week of stories about “the vinyl revivial”, because apparently vinyl sales have out-stripped digital downloads in value for the first time. Let’s be clear. 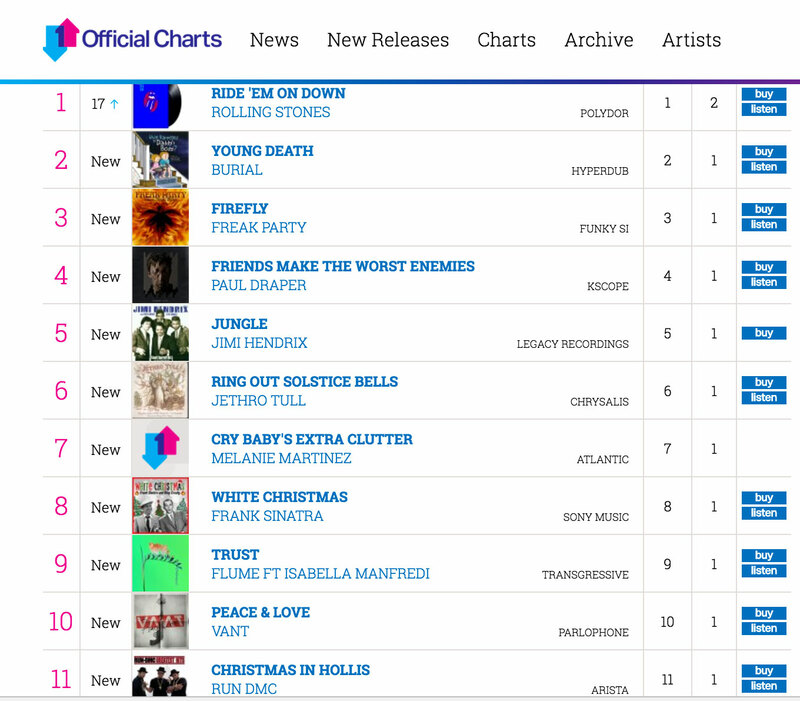 Anybody writing about this topic needs to look at the official charts before they put a word to paper. There is no vinyl sales revival for new music. All that is happening here is that nobody buys new music on physical formats, and a load of old dads are picking up £45 reissue packages that they literally never play. The singles chart this week features Jimi Hendrix, Rolling Stones, Jethro Tull. 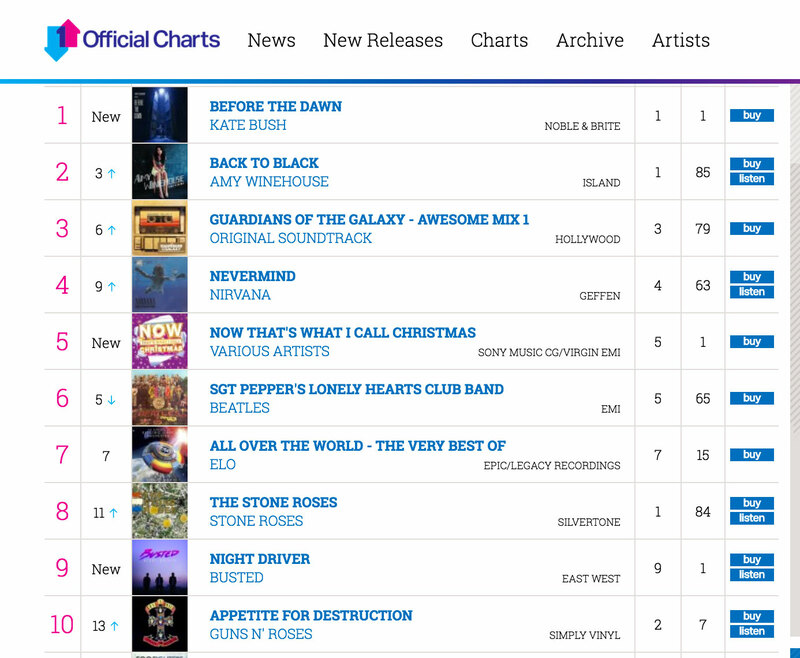 The album chart features the Beatles, ELO, Nirvana and Guns’N’Roses. Yer da is buying all the vinyl.